HONG KONG, CHINA, September 22, 2017 – Hong Kong’s economy witnessed a strong recovery in the first half of 2017 and risks to growth have receded in the near term, according to the preliminary assessment by the ASEAN+3 Macroeconomic Research Office (AMRO) after its Annual Consultation Visit to Hong Kong from September 11 to 15, 2017. The mission was led by AMRO Lead Economist Dr Chaipat Poonpatpibul and participated by AMRO Director Dr Junhong Chang and Chief Economist Dr Hoe Ee Khor. Discussions centered on current economic situations and outlook, recent developments in the financial and property markets, external and domestic risks, and policy challenges. In the first half of 2017, the economy grew by 4.0 percent, mainly driven by a strong recovery in merchandise exports, a pick-up in service exports, and robust private consumption. These favorable conditions are expected to continue in the second half of 2017. In 2018, growth is expected to moderate to 2.8 percent, reflecting tighter financial market conditions as well as some moderation in China’s growth. Nonetheless, resilient private consumption will provide continued support to the economy. Meanwhile, inflationary pressures are expected to remain contained with headline inflation at 1.8 percent and 2.2 percent in 2017 and 2018, respectively. Overall risks to growth have receded in the near term, partly due to global trade recovery and the improved outlook of China’s economy. However, Hong Kong could be adversely affected by emerging global risk factors such as negative trade spillovers from protectionist measures and intensified geopolitical tensions. Reflecting the recent moderation of inflationary pressure in the U.S., the risks stemming from a faster-than-expected interest rate hikes by the Fed have receded. Nevertheless, the policy normalization of major central banks is likely to proceed in the period ahead leading to tighter global financial condition. Consequently, Hong Kong Dollar (HKD) interest rates are expected to rise, given the Linked Exchange Rate System. Domestic risks mainly stem from the property market, which remains buoyant under the prolonged low interest rate condition and tight housing supply. Although there have been some signs of stabilization in recent months due to policy efforts, there could be risk of a significant correction in the residential property market should the HKD interest rates increase sharply. Negative wealth effects from a decline in house prices, together with rising debt servicing burden, could have an impact on consumption. A significant property market correction could affect bank asset quality, given banks’ sizable exposure to this market. However, banks in Hong Kong would be capable to cope with property market shocks given their strong capital base and prudent risk management on property-related lending, with loan-to-value ratio and debt servicing ratio for new mortgages staying low at 48% and 34% respectively in July this year. The current macro-prudential and demand-side management measures on the property market should be maintained as they have helped curb speculation and ensured prudent lending practice by banks. Continued vigilance on the housing market and bank lending to property developers and households is recommended. In light of the robust economy, fiscal policy should focus on structural issues such as ageing population, increasing land and housing supply, and support long-term sustainable growth through enhancing quality education and competiveness. 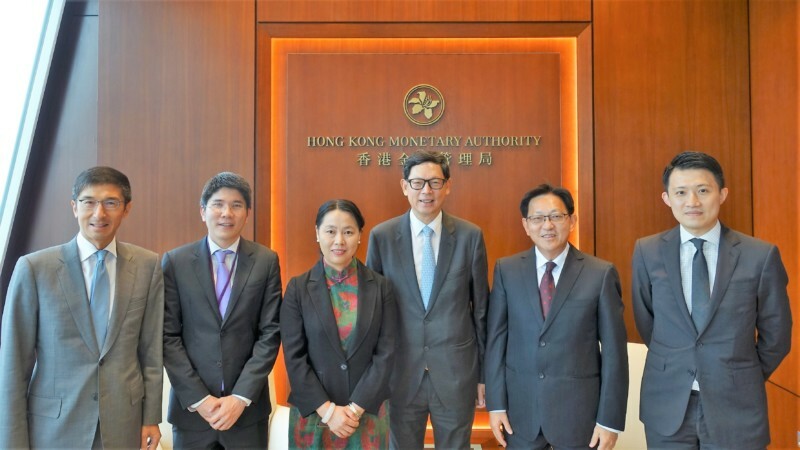 AMRO would like to express its appreciation to the Hong Kong Monetary Authority and other agencies for their excellent support and hospitality. The visit to Hong Kong has further strengthened our relationship with the Hong Kong authorities and deepened our understanding of the macroeconomic and financial situation in Hong Kong. For brevity, “Hong Kong, China” is referred as “Hong Kong” in the text.